Here's another Lupinranger VS Patranger news to liven your day. The title and the artists who will perform the official theme song for the 42nd Super Sentai series has been finally revealed. Entitled Kaito Sentai Lupinranger VS Keisatsu Sentai Patranger, just like the title for the series and will be performed by Project. R, who also performed theme songs for Enjin Sentai Go-onger. Samurai Sentai Shinkenger, Tensou Sentai Goseiger and the 35th anniversary series, Kaizoku Sentai Gokaiger. 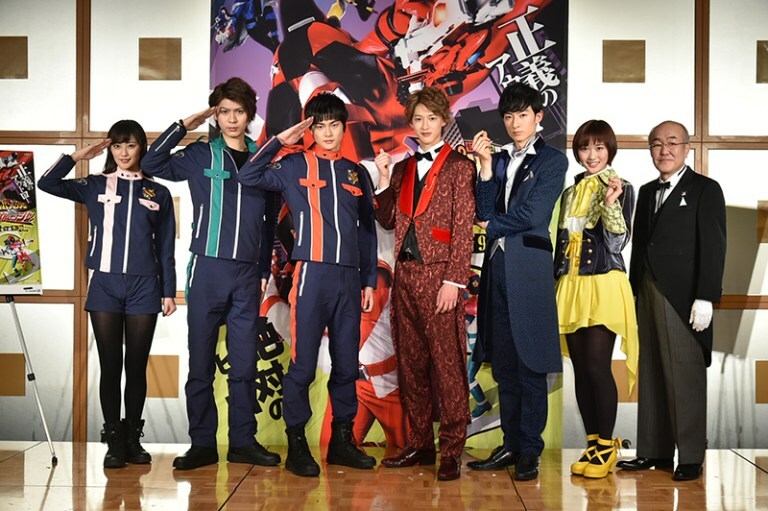 Kaito Sentai Lupinranger VS Keisatsu Sentai Patranger will premiere in February 11th and will replace Uchuu Sentai Kyuranger from the Super Hero Time block.